Article via The Guardian. Thanks to Barbara Zitwer Literary Agency. This harrowing book, subtitled How I Escaped With My Daughter from Boko Haram, tells the story of newly pregnant 19-year-old Nigerian Patience, whose husband and mother were murdered by militants. One day, she is kidnapped by Boko Haram and her ordeal is recounted in unflinching detail: the beatings, rapes and torture meted out to her and fellow prisoners and how she escaped and survived with her baby daughter, Gift. 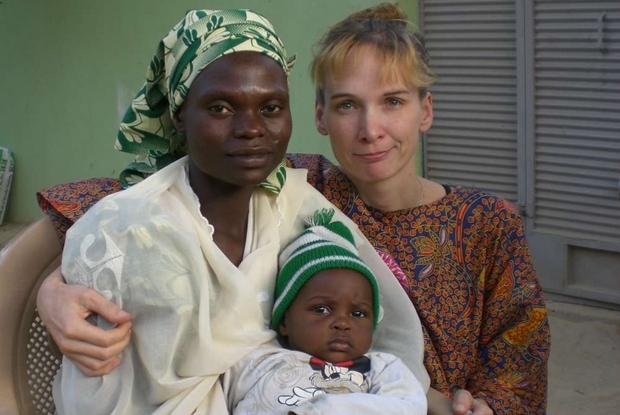 The book is co-written with Andrea C Hoffmann, a journalist and expert on victim traumatisation, and switches between Hoffmann’s account of visiting Nigeria, the challenges of interviewing Patience about her painful past and vivid accounts from Patience herself. Translated by Shaun Whiteside, this is a valuable document, contributing raw experience of terror, trauma and recovery, as well as insight into the techniques of telling the most traumatic of stories.